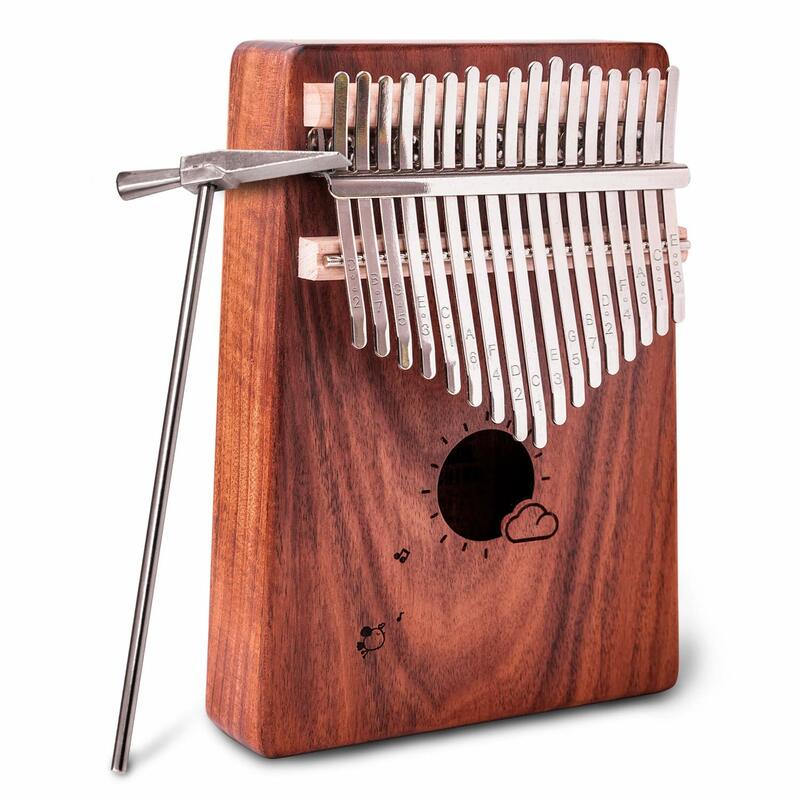 Kalimba is an African musical instrument consitting of a wooden board with attahed staggered metal tines. A great sound could be made by holding it in your hands and plucking the tines with your thumbs . Resonace box is Made by solid mahogany wood and keys are made by ore steel bars, providing more bright and clear sound. This Kalimba will accompany your friends or families for a unforgetable sound during festivals, campings, weddings and other major events. Require no prior knowledge or special talent, just need to use your two thumbs play to make sounds. Come with instruction and music book. 1, Use your tuner or download an App. \'gStrings\' for Android system, \'Instuner\' for Apple system. 2, Tune with your hammer: making tines longer to lower pitch and making tines shorter to higher pitch. Portable and lightweight, very easy to carry and store.